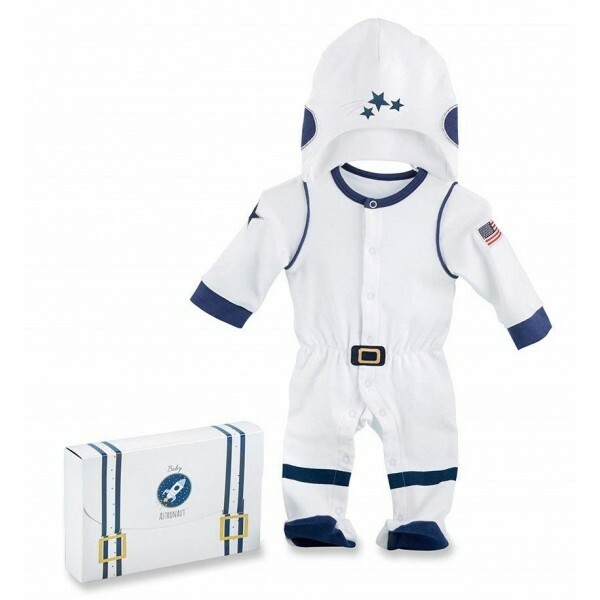 She can imagine herself soaring to the stars with this layette set from Baby Aspen! 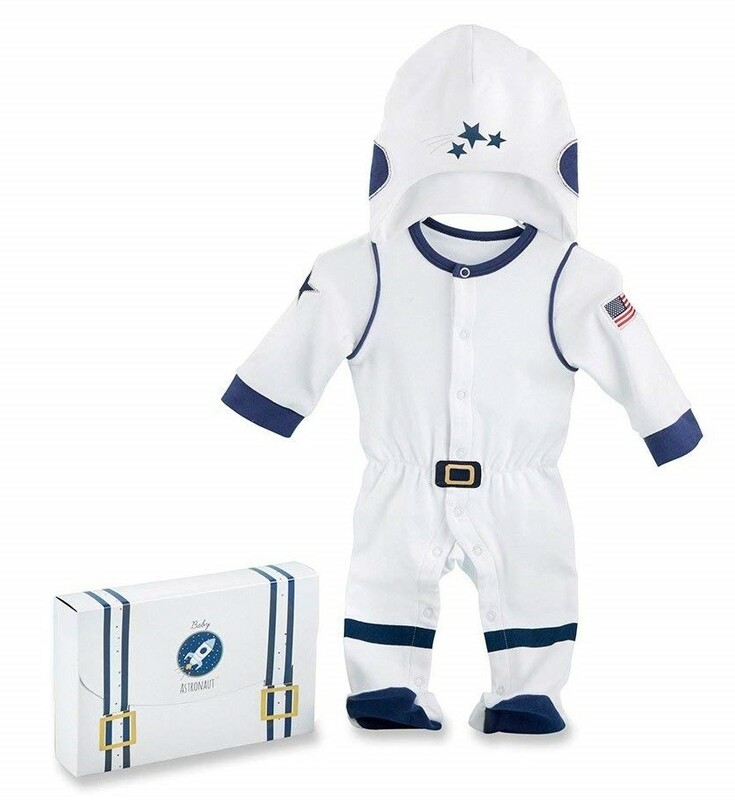 This layette set includes an adorable 100% cotton white astronaut uniform style bodysuit with blue accents and a coordinating cap. The bodysuit has a blue star patch on one arm, an American flag patch on the other arm, and a black and gold belt buckle applique — and to make things easier on parents, it also has snap leg closures for easy access. Both pieces come packed in a suitcase-style box, making it a great option for gift giving, too!